In just a few weeks, there will be lots of back to school planning going on! Teachers will be prepping classrooms and parents will be prepping kids to be ready for the new school year. To save both some prep time, I created a printable school house and school bus color matching puzzles as an easy to put together busy bag or independent center activity for home or the classroom! 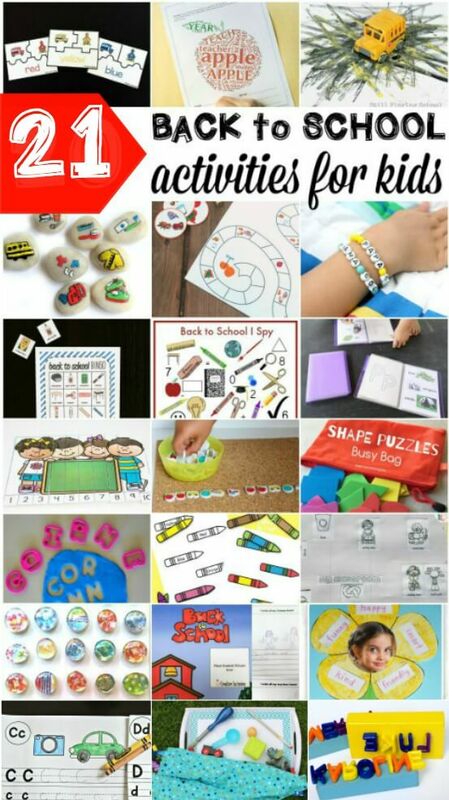 Printable activities are an easy way to set up low prep learning fun for young children! The set of free learning puzzles are low prep and include 9 colors — red, orange, yellow, green, blue, purple, pink, brown, and gray. 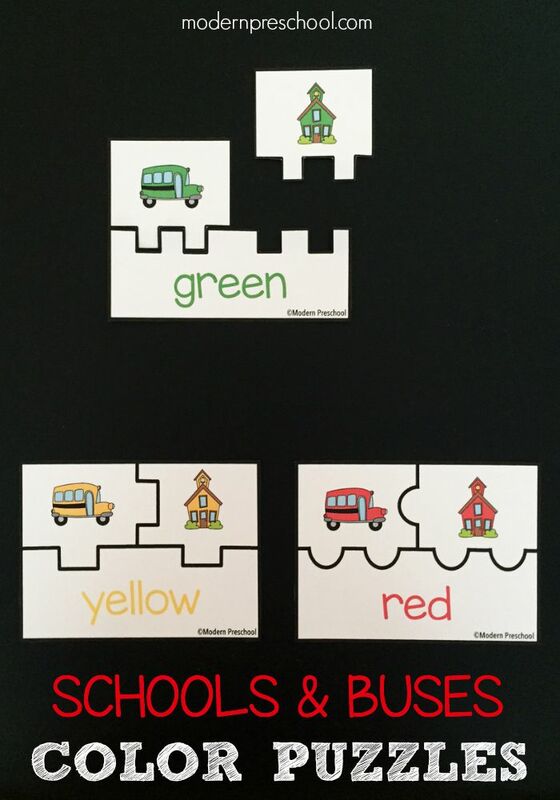 Print the puzzles on cardstock, cut apart, mix up the pieces, and play! If you are laminating the puzzles, laminate them before cutting apart. Printing on cardstock will also make them sturdier. 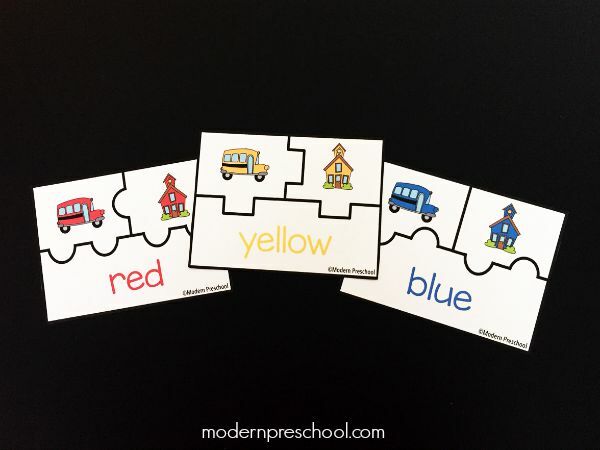 The puzzles are the perfect size for preschoolers’ and kindergarteners’ little hands. Each puzzle is different, so there is no confusion at which pieces belong with which puzzle. This helps set little learners up for success. This also allows for this to become an independent activity after the initial introduction to how the puzzles work! The printable puzzles work on visual discrimination skills when determining which puzzle shape matches with other pieces. 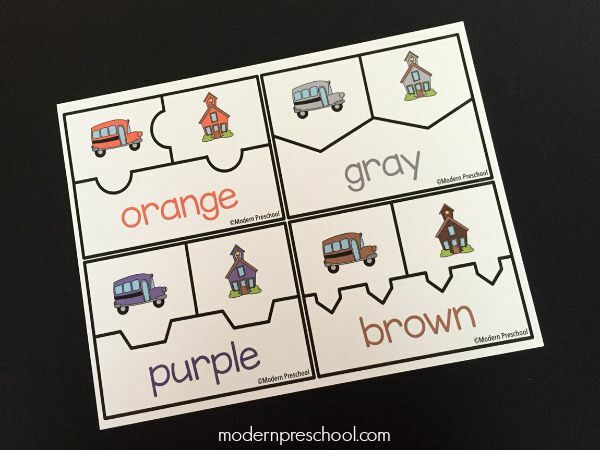 Color matching and sorting skills are strengthened when each school bus, school house, and color word are matched together correctly. Young learners can practice recognizing and reading color words like big kids! After the puzzle fun is over for the day, store the puzzle pieces in a resealable freezer bag, a clear page protector to add to a binder full of other busy bags, or a plastic pencil box that can be found in the school supplies aisle! 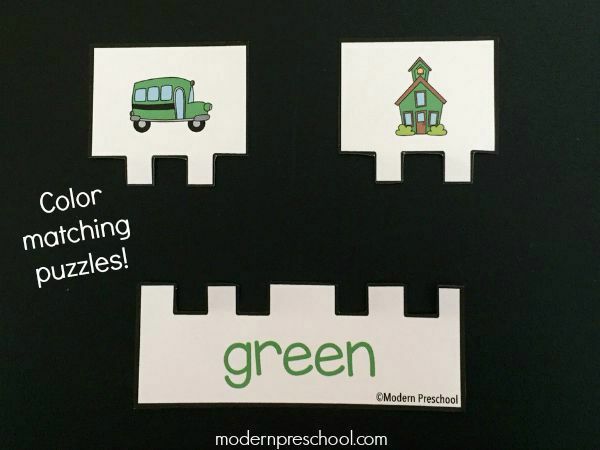 Follow Modern Preschool on Pinterest to easily find the other fun preschool, busy bag, and printable activities! Looking for other fun back to school activities for kids? Check out these must-try games, craft projects, printables, and more from some of my favorite kid bloggers! 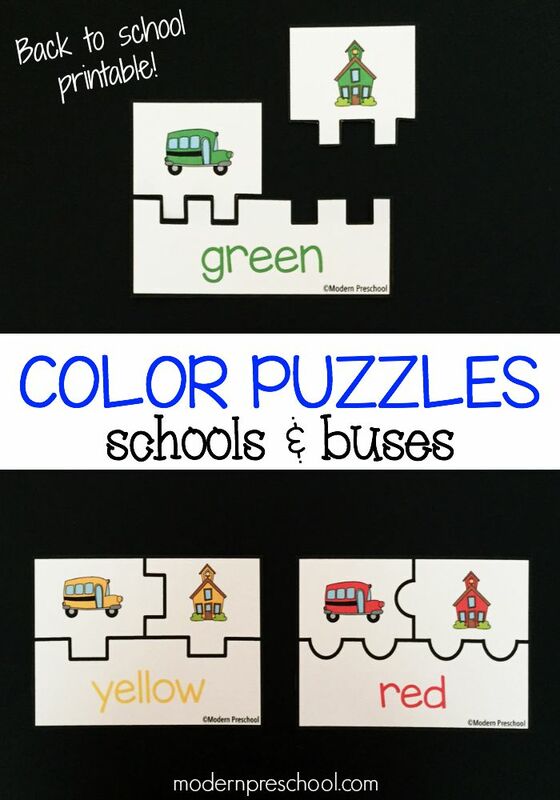 Grab your own set of our free printable color matching school bus puzzles! If they are laminated prior to cutting won’t the cut edge come up?